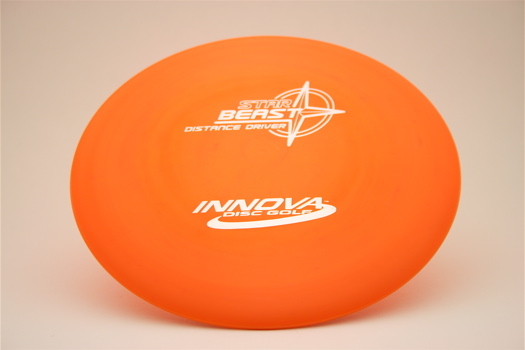 Beast - This disc gives more distance with less power. This is a 10 speed driver with -2 turn and 2 fade. This disc is available in Champion @ $13 and Star @ $15.